For children, life is an adventure. 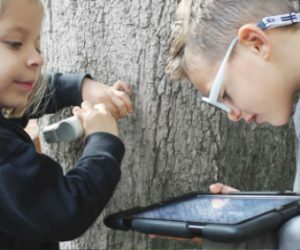 They feel a natural need to investigate, discover and experiment their surroundings to learn about the world they live in. As they grow, their environment sometimes threatens their creativity. At Eton, we are interested in developing creativity to help our students discover or even develop solutions to problems through projects. That is why our fifth graders were offered the challenge of using their creativity to invent different devices in order to solve an existing need. Throughout the process, they analyzed situations, generated ideas, and evaluated them to choose the most viable solution. 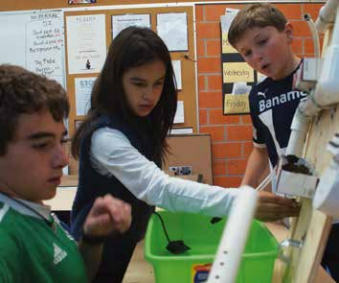 During the developmental stage, students saw the need to experiment with different simple machines as well as a variety of materials, aiming at the best possible solution. They were offered the possibility of developing a process with no guidance but their intuition, their skills, and their creativity; the only requirement was to let their imagination go beyond perceived limits. Although the goal was to invent a product, the real purpose behind this project was to place students in situations where their creativity had to be put to work in overcoming all obstacles encountered in exploration. Promoting the development of creativity in our children is essential in helping them to express their intuition and ideas, develop their abstract thinking, and solve problems. Down the road, these will be the skills that will aid our students in living their life to the fullest.